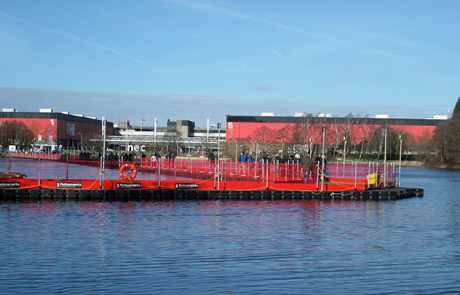 We are delighted to be able to showcase one of our ‘Access Installations’ at the NEC this year, showing exhibition visitors one example of how our pontoon hire service supports the construction industry. Our 1000m² public access walkway dissects Pendigo Lake in front of the main entrance, directing pedestrians away from the Resorts World Birmingham construction site. 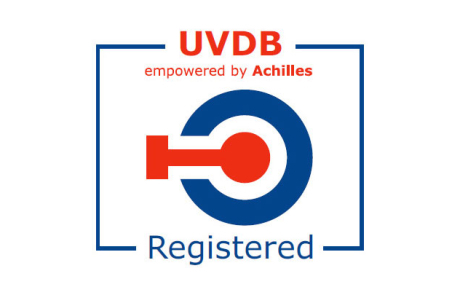 We are pleased to announce that we are now registered with the Achilles UVDB community. With over 2,000 miles of waterways in England and Wales, The Canal & River Trust are responsible for an enormous network of bridges, embankments, towpaths and aqueducts all of which require maintenance. If you are a contractor working for the trust we are pleased to announce that we are now registered with the Achilles UVDB community and approved to embark on projects which require our specialist service.